During vacation a couple weeks ago everyone went fishing, but I stayed behind because my youngest daughter was ill. While she watched a movie, I decided to start dinner prep. I had a menu planned (yes, I am a meal planner when we camp), but I was rather bored with what I was supposed to make. I looked in the fridge and I noticed that my sister-in-law brought a big head of celery. Then I looked at the side door in the fridge, and remembered the big jar of green olives I brought for in-between meals. 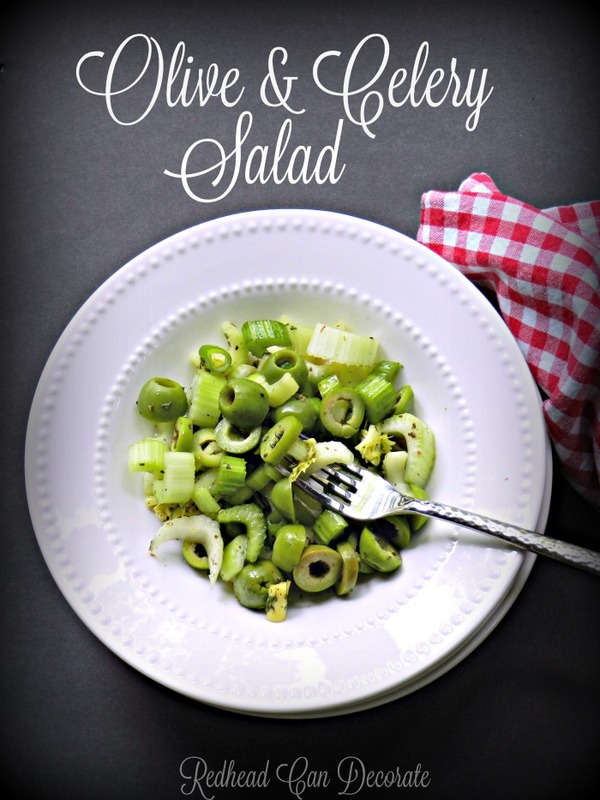 Then, it struck…I envisioned my Dad’s Olive & Celery Salad. I was a bit worried no one would want it after they got back, but I made it anyhow. I never really asked my Dad what he put in his Celery & Olive Salad, but over the years I kind of figured it out and added a few of my own ingredients. You see…he would make this salad usually as a side dish to a meal (he did a lot of the cooking and still does now at 81). It was something he would fall back on when there wasn’t much else in the fridge to make a salad with. 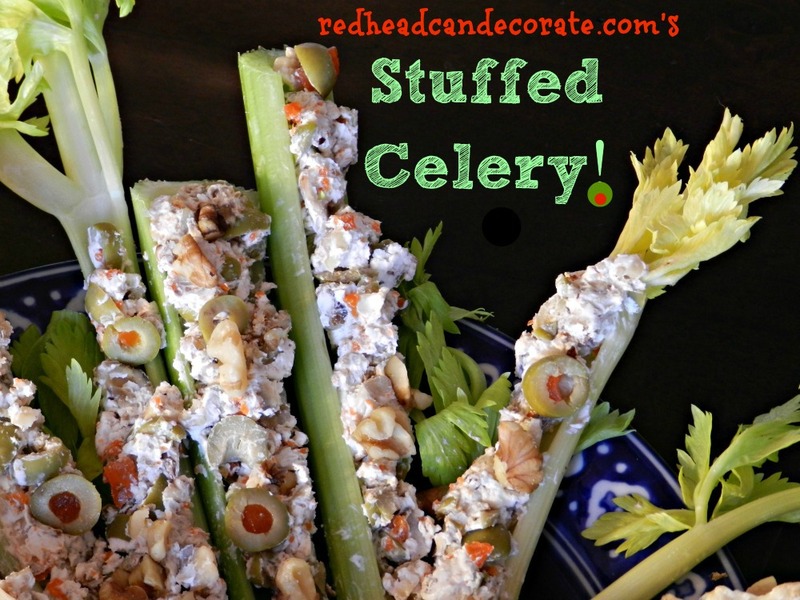 There were 2 things we always had in our fridge no matter how low on food we got…celery & olives. Boom. Total genius. My Dad is a genius. This salad goes great with everything. 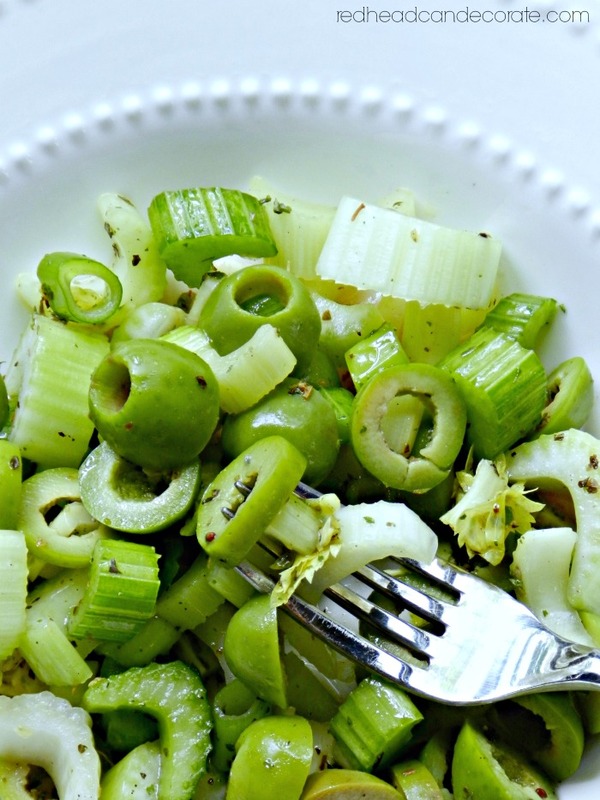 No matter what you are having, you can always add an Olive & Celery Salad. Besides, celery is very good for you. Did you know that? It’s loaded with vitamins, aids in digestion, and reduces inflammation. 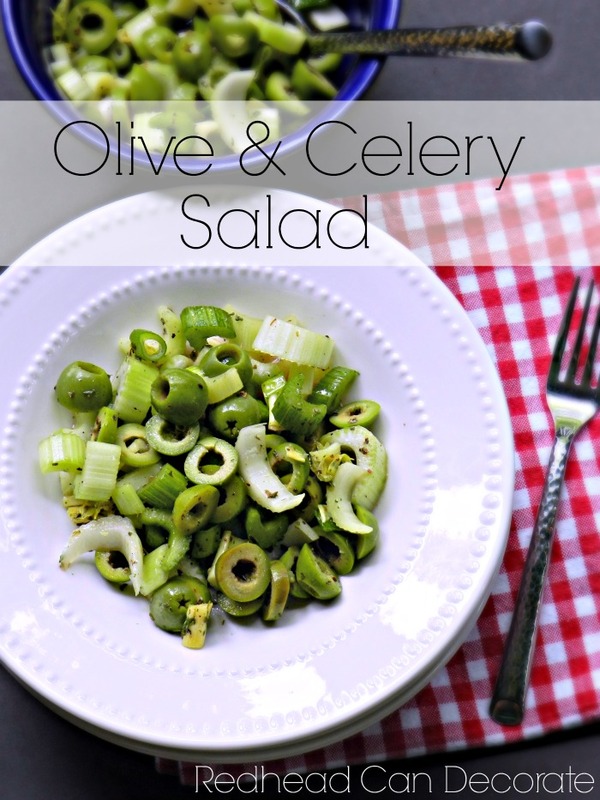 So, between the well known heart benefits of olives, this salad is a miracle worker! Here’s the olives I use when I can find them, but this isn’t necessary. 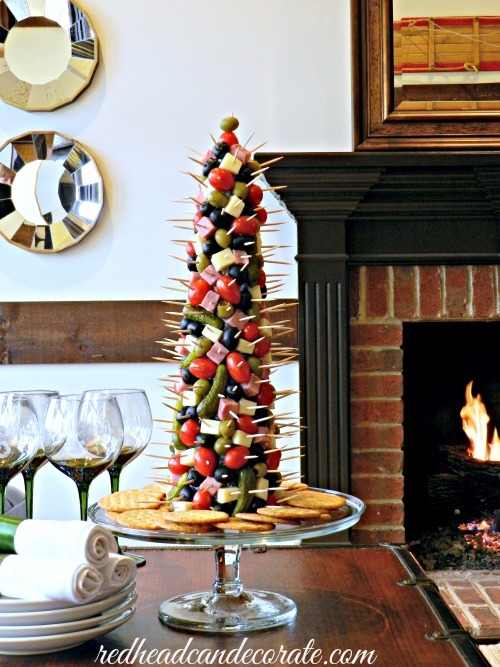 The whole idea is to use what you have so small green olives with red pimento in the middle is totally fine. In fact, that is what my Dad used. My sister-in-laws raved about how good the Olive & Celery Salad was. We had it with Tuna salad & BBQ chicken and it went perfectly. I hope you print out this recipe and try it soon. 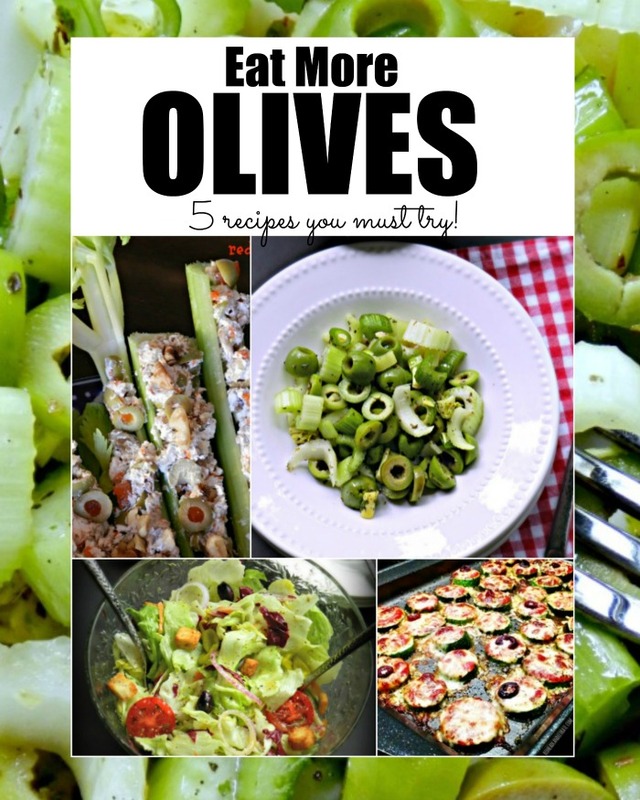 If you love olives like I do, be sure to check out all of my olive recipes below, and I made a pin at the bottom for you. Mix all ingredients in medium bowl and serve with crusty Italian bread. Also wonderful as a side salad with tuna salad, tomato pasta dishes, anything really! 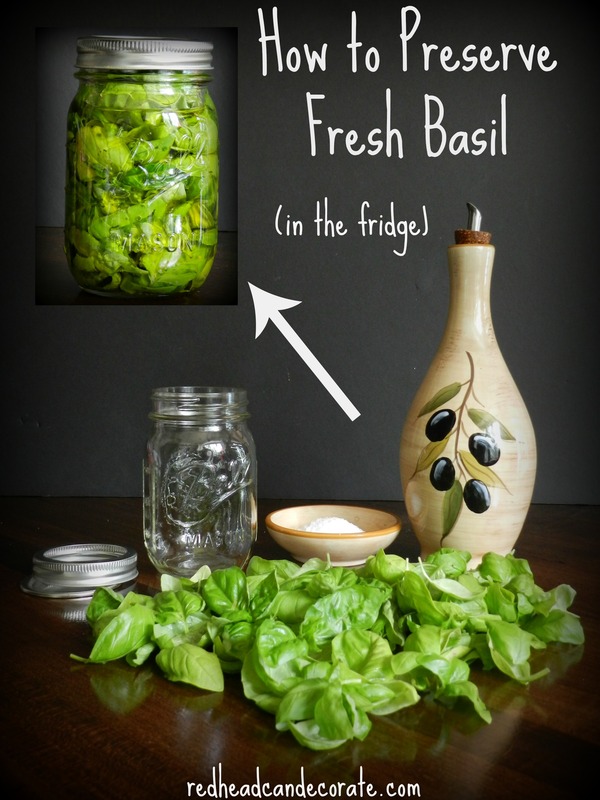 Oh, wait…just found another olive recipe! Ah, how sweet your dad commented. BTW, I like your blog because you seem like “real people” and your ideas are doable. 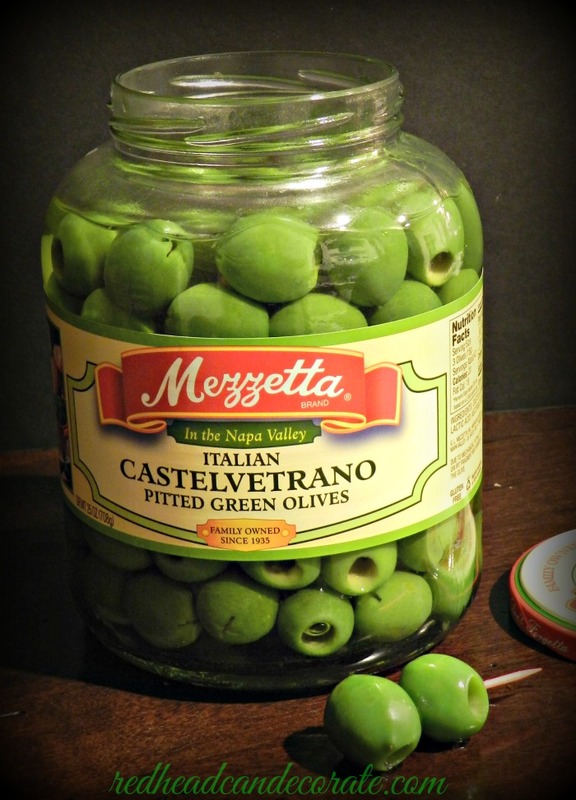 I am not a big fan of olives but most of my family love them. 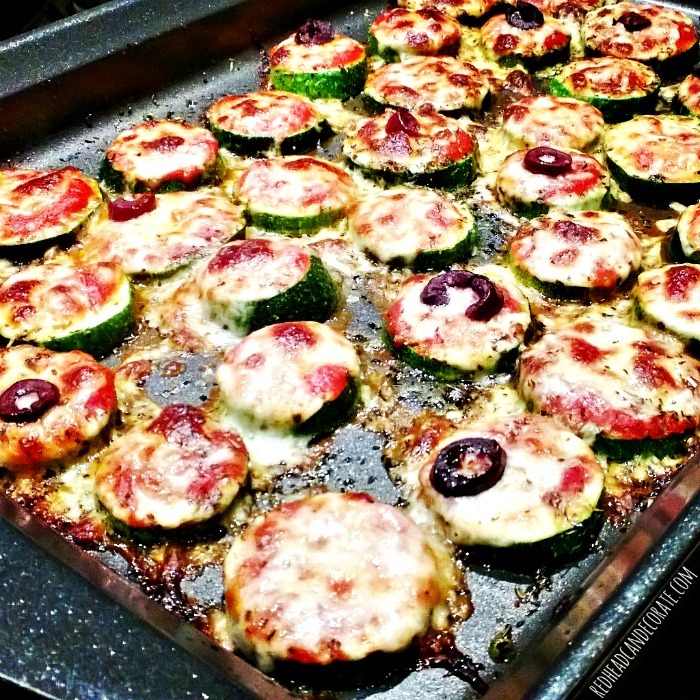 I plan to try this recipe for our upcoming tailgating parties. Thanks for sharing! I thought everyone made olive salad, love, Dad ps I am 82 now. 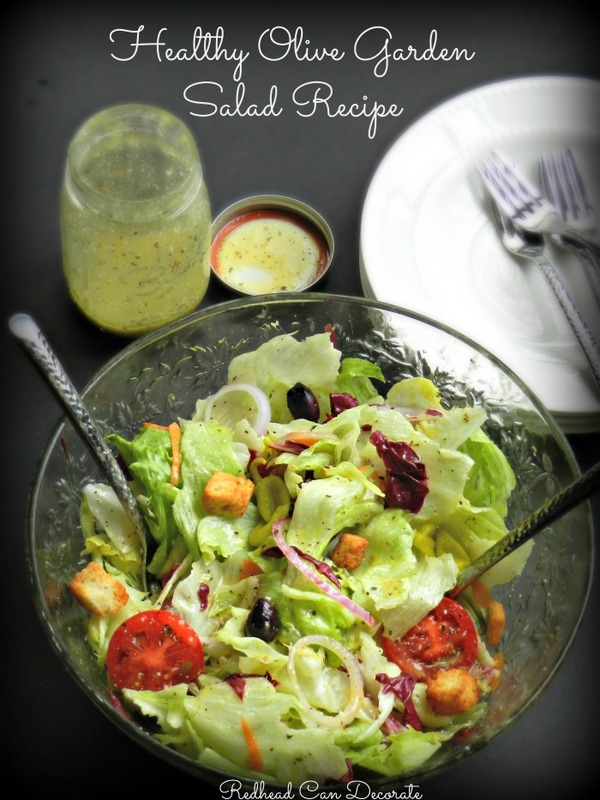 I love olives and I’m going to try this salad (as soon as I go shoping). No olives or celery in my fridge today. Hope you enjoyed it! i think I’ll make it today, too!